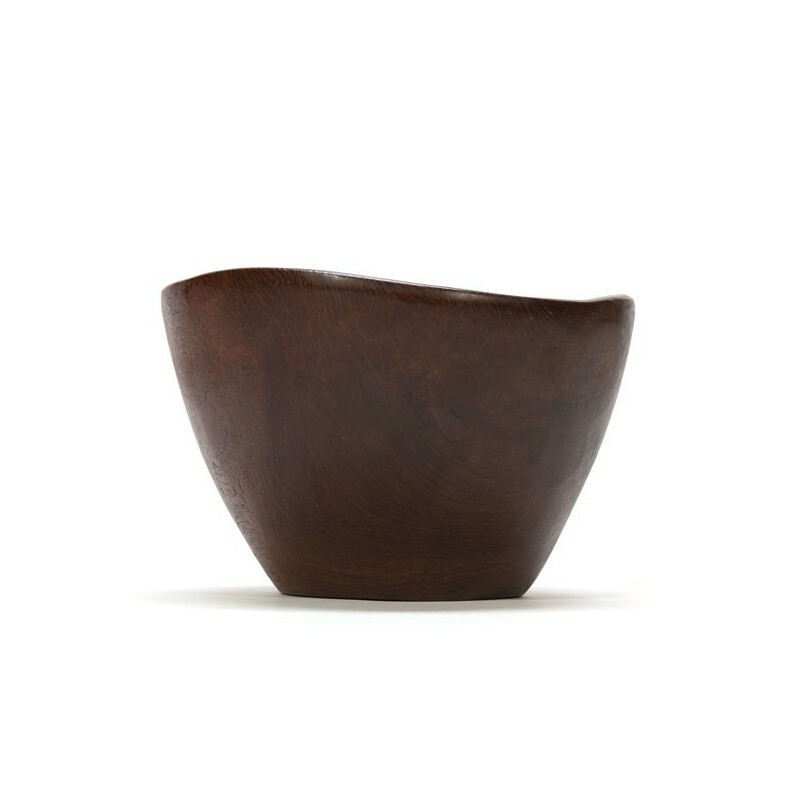 Vintage bowl of teak from the sixties / seventies. 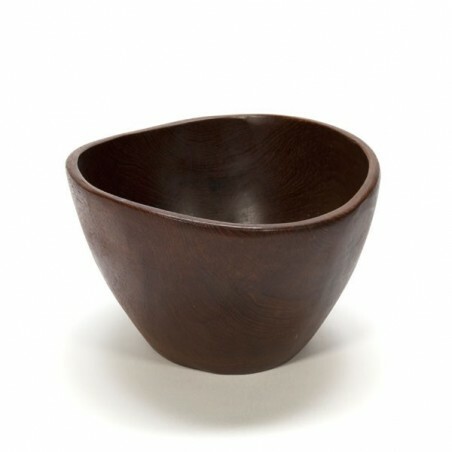 The bowl is pretty dark. The condition is good, see detailed pictures. 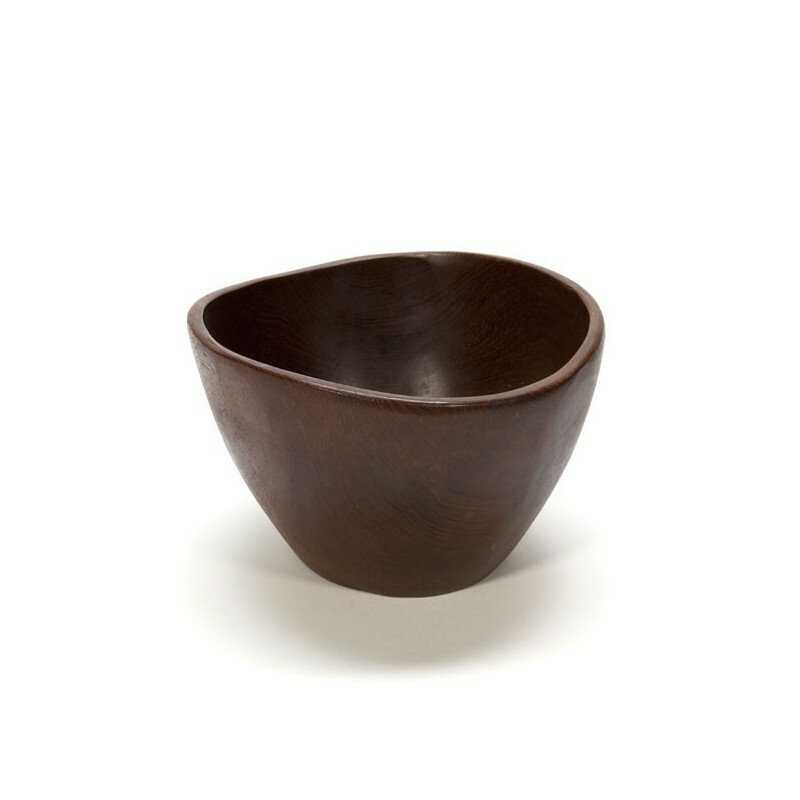 The afmeitng is 24.5 cm in diameter and 16 cm high.